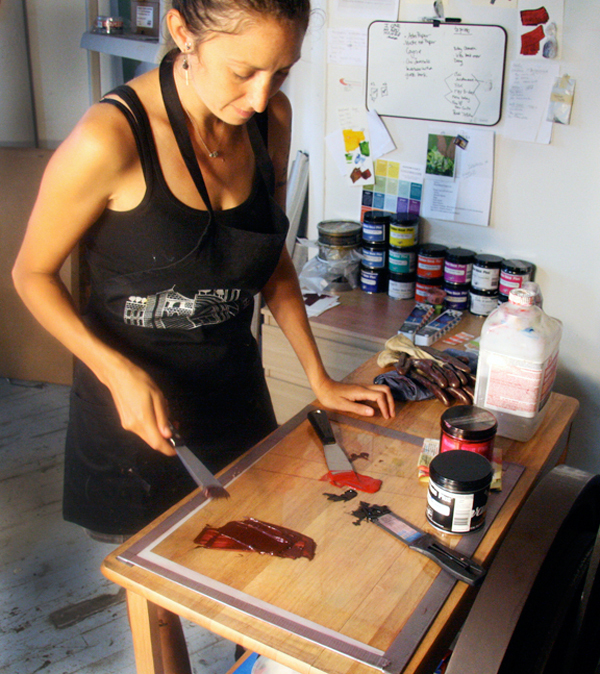 It’s been a long cross-country ride through the remarkable realms of painting, book-making, and letterpress printing for Shayna Norwood, the daring woman behind Steel Petal Press. We were able to catch up with her in between runs to get the deep dish on printing in Chicago, Illinois. My name is Shayna and I currently live in the Logan Square neighborhood of Chicago by way of San Francisco, New Orleans, Los Angeles, St Louis, and Washington, DC. 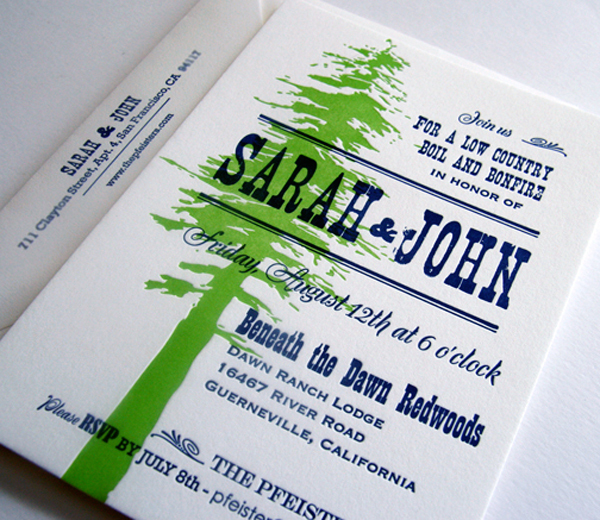 I print handmade letterpress greeting cards, custom wedding invitations, and make hand-bound journals. I’ve always known I wanted to be an artist. Right out of high school, I went straight into art school to study painting. Since then I have explored many different mediums before finally landing in book arts and letterpress printing. 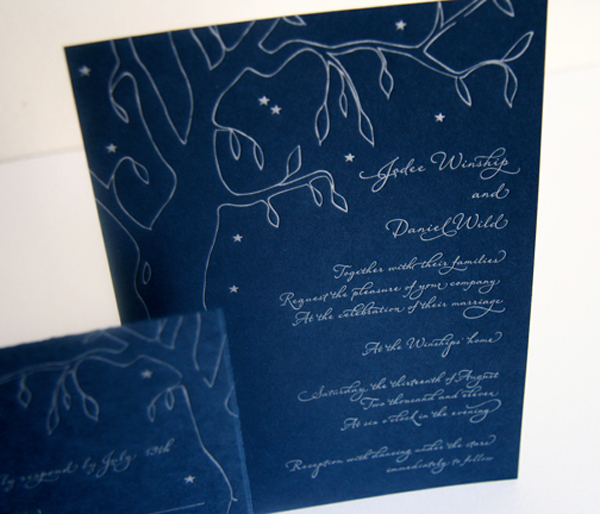 How did you first get involved in letterpress and who are your printing mentors? While finishing up my BFA at San Francisco Art Institute I took a year long Book Arts class that first exposed me to the art of letterpress. 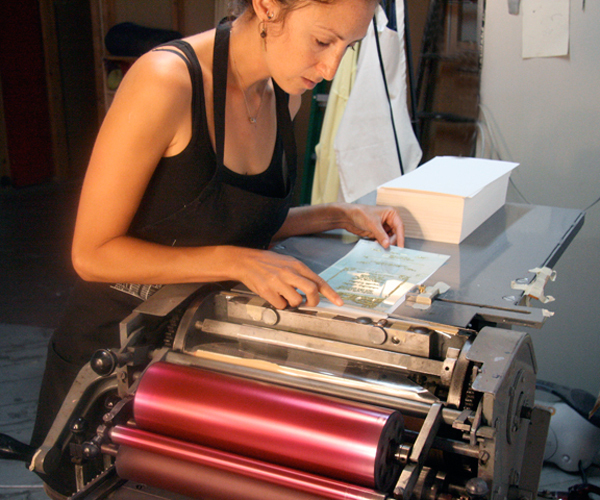 Following graduation, I was accepted to a six month residency at Women’s Studio Workshop where I continued to focus on Artist Books, letterpress printing, silk screening, book binding and paper making. As I moved around the country, I continued to volunteer and take classes at Pyramid Atlantic in Washington, DC and at the San Francisco Center for the Book. In 2008 I moved to Chicago to work towards my MFA in Book and Paper Art at Columbia College Chicago. Although I left the program early, I was able to use the knowledge I had learned throughout the years before to move forward in starting my own business. Are you a designer and printer, or printer only? Mostly artist, full time printer, and self taught designer. If you design, tell us a little about your creative process. For my creative process: First, I have to think up a new idea. This can come at any time and is usually out of the blue: riding the train, while jogging, on a Sunday morning reading the paper, running errands, riding my bike, etc. Then I need to transform the idea into an image or object. This takes some time tinkering with the materials and the images to see what looks best. Then there’s production mode, in which I just crank out a bunch of work. The last part is much less creative. When I work with clients on custom jobs, I listen to them and their ideas, collect image samples and inspiration and move forward from there. What is the story behind your very first press? I just bought my very first press this past year! Her name is Penelope and she is a C&P model-n. I am still in the process of getting her up and running, so in the meantime I rent press time on the Vandercook presses at Evanston Print and Paper. 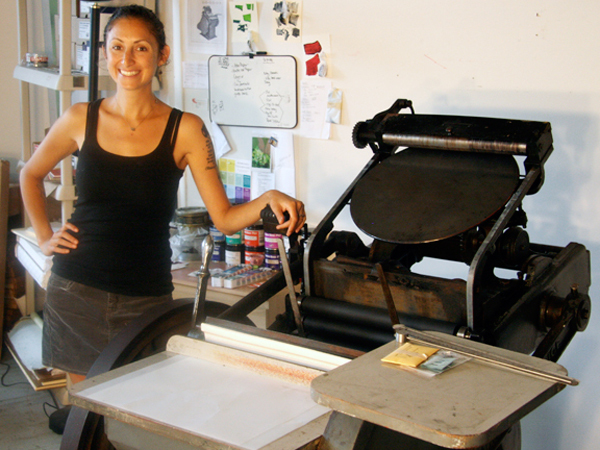 Also Kimberly at Daily Sips Studio generously lets me use her Vandercook SP-15. 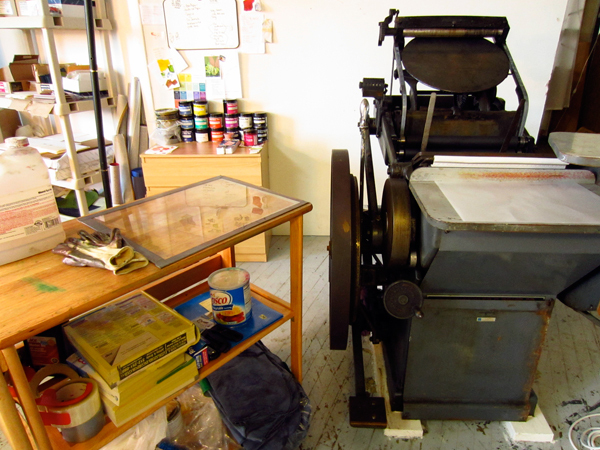 Tell us about your print shop or where you print! Any cool things about it or its location? My print shop is in a shared studio space that takes up the floor of an unfinished warehouse in West Town, Chicago. I moved in before I had committed full time to printing. It’s good for the time being, but not somewhere I picture myself long term. Do you print full time? For how long? YES! I have been printing full time since January 2011, so it’s all relatively new for me. Setting goals, working hard to make them happen, and ultimately starting my own business. I do not have access to lots of type, nor do I have a polymer platemaker, so Boxcar really helps me turn my digital designs into polymer plates for printing. I’ve also ordered inks and other supplies from Boxcar in the past. 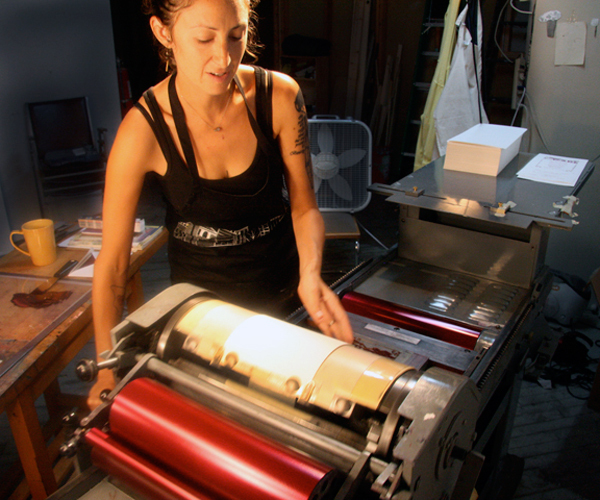 What’s your favorite piece of business advice you’ve uncovered so far as a letterpress printer? Network! 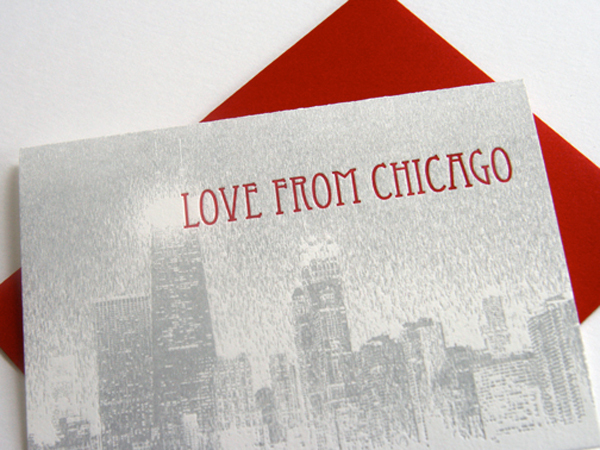 There’s a really great community of letterpress printers in Chicago and it seems everyone is somehow connected or knows each other. I have been saved from impending deadlines (on more than one occasion) by generous letterpress printers willing to help me out of a bind. Big thanks to Shayna for letting us get such a cool, closeup look on Steel Petal Press!